On arrival to West Malling Golf Club you will be welcomed into our friendly club house, perfectly equipped with a well-stocked bar, outside terrace with views across the course, changing facilities and a pro shop. The two 18 Hole courses, Spitfire and Hurricane, named in honour of the iconic fighter planes that flew out of the nearby airfield during the Second World War, are a challenge for all standards of golfer. The courses are surrounded by beautiful undulating countryside, with many mature trees and panoramic views overlooking the North Downs. 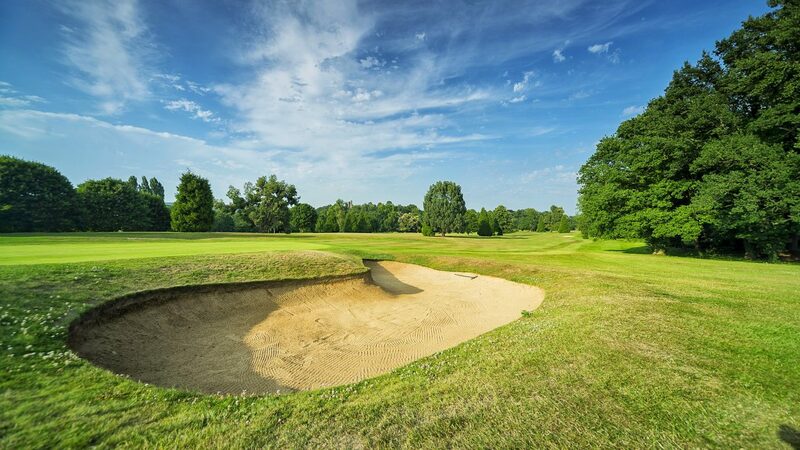 We offer fantastic practice facilities here at West Malling, with a 10 Bay covered driving range, putting greens and chipping area. After your round of golf be sure to sample the dining facilities available with an extensive bar menu or simply relax with a drink and enjoy the sports TV, or on the terrace overlooking the 18th hole of the Spitfire course with excellent views of the hills and beyond. We pride ourselves on a friendly welcome, attention to detail and a flexible approach to ensure you and your guests enjoy the perfect golf day. Whether you choose a pre-set package or are looking for us to help you create a completely unique golf day experience, our dedicated team are ready to cater for your every need. Located just of junction 4 of the M20 which connects directly to the M26 and M25, just 30 minute drive from London. West Malling station is 5 minutes by taxi. Find ample free parking on-site. The club can recommend excellent hotels in West Malling, Maidstone and the surrounding area. Two 18-hole courses, modern club house, bar, outside terrace, function rooms, pro shop, free WIFI, changing rooms and lockers, meeting rooms, large car park, putting green and driving range.